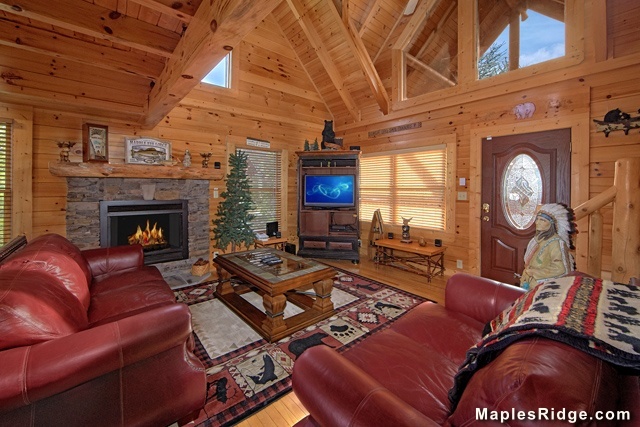 Beautiful 3 bedroom 2 bath Cabin located in the Covered Bridge Resort off Wears Valley Rd. 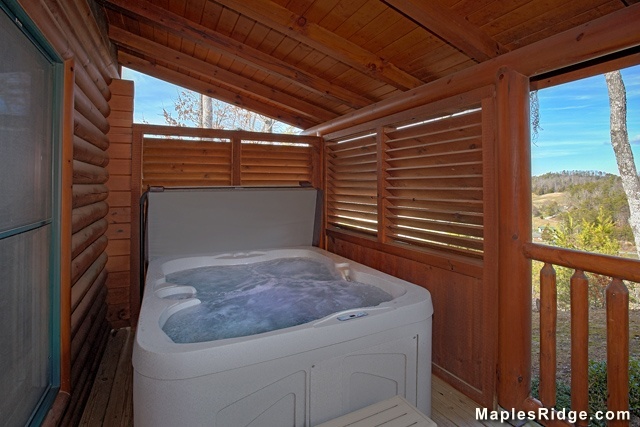 May we suggest you enjoy a relaxing evening in your private Hot Tub for 6 or take a dip in the refreshing Resort Pool nearby. 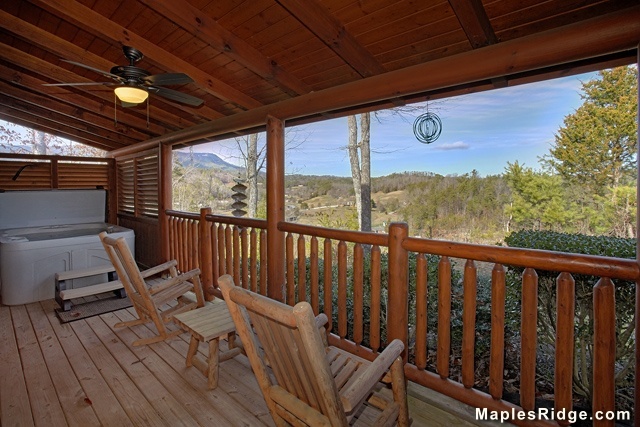 Enjoy the rocking chairs on your covered porch while enjoying the evening sun set over the Great Smoky Mountain National Park. 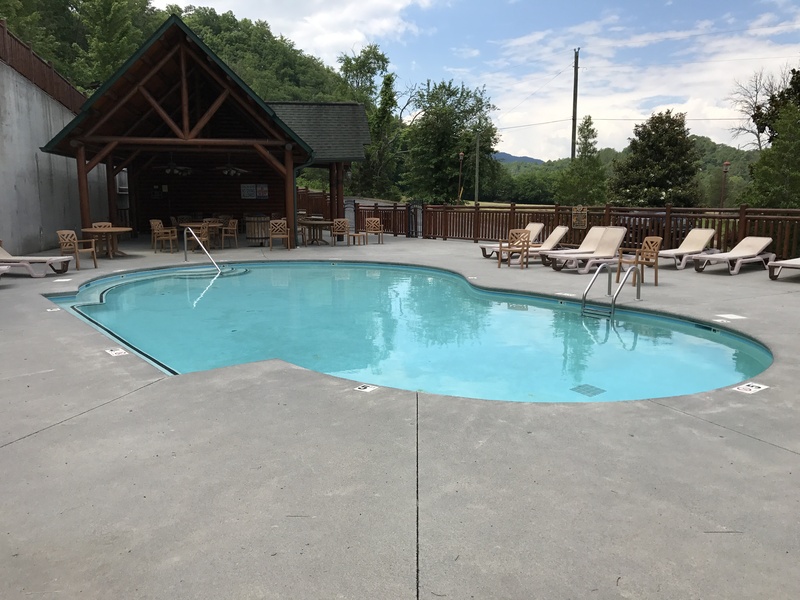 Located less than 5 minutes to all the attractions that Gatlinburg and Pigeon Forge have to offer. Hiking trails, water tubing, rafting, horseback riding, amusement parks and water parks are all within minutes of your cabin. Take a short drive to Cades Cove and take in all the beauty that the National Park has to offer and see wild life up close. The area is abundant in Whitetail Deer, Squirrels, Black Bear, Coyotes and Elk. 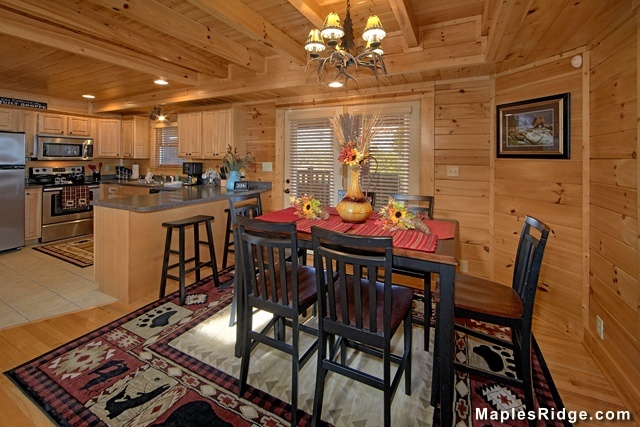 Gamblers Cove is equipped with a gourmet kitchen and all utensils for making meals at your cabin. Equipped with a charcoal grill for cooking your favorite steaks or hot dogs. 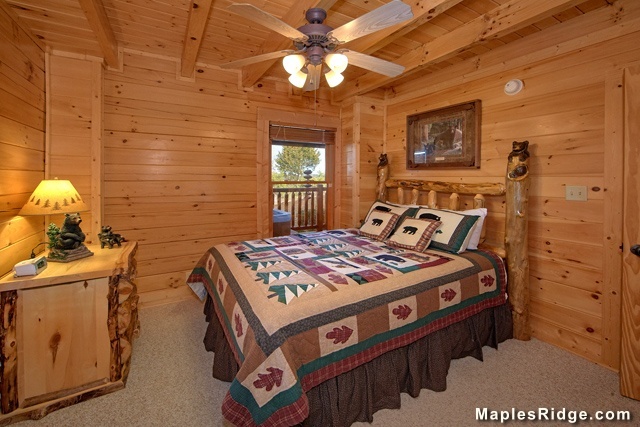 At the end of a long day enjoying the sights and sounds you can return back to your cabin and enjoy a restful nights sleep in our plush bedding. We had a wonderful time while staying in Gamblers Cove. 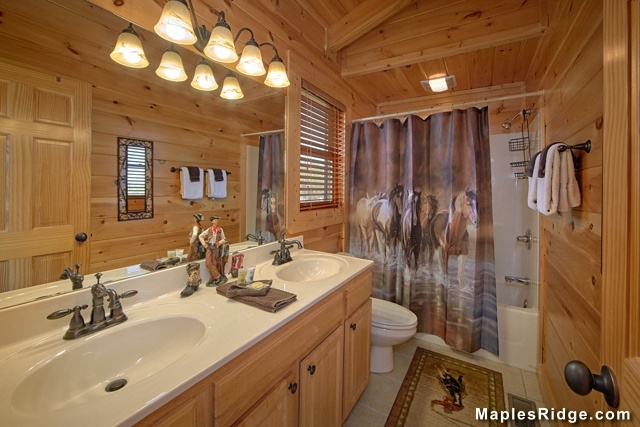 The cabin was very clean, and we would definitely stay their again! We will be sure to tell our friends about it! The home was very nice and fully equipped and was perfect for our group! We look forward to visiting the area again! Everything was great! Can't wait to come back again! 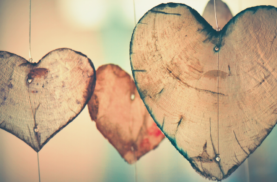 We have stayed at Maples Ridge Cabins before, and we love the friendly office staff and the beautiful cabins! 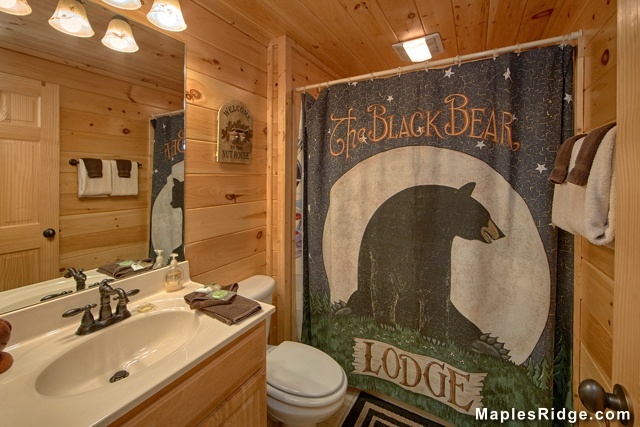 We like how well-maintained their cabins are, and their cleanliness! We had such a good time and enjoyed the convenience of the cabin to all the locations we wanted to go. We were very pleased with the politeness of the young lady in the office! 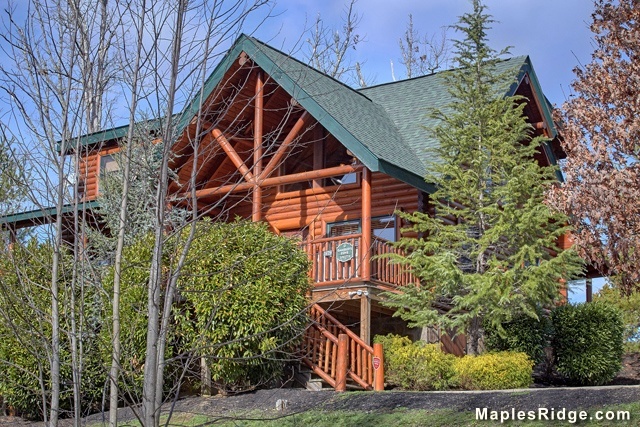 We have stayed with Maples Ridge before and will continue to stay as long as their friendly service and clean cabins continue! Cabin was lovely, and our check-in experience was very nice. We loved checking out via text message! The cabin was well maintained and very clean. We really enjoyed our stay a lot! Check-in and out was speedy and no hassle.We'd stay at Maples Ridge again for sure! Had a great time. Tha cabin was awesome. Pool was the only problem. The Pool level was down and there were bugs and hair floatin in the pool. I called maple ridge rentals and they sent someone out to test the chemical levels which turned out to be fine and the next day water was added to pool. Great prompt attention was taken to clear this up. Great Location! Beautiful Cabin! Our family of 4 had a wonderful vacation at this cabin! It was supper clean and only about 10 minutes from downtown Pigeon Forge. The only reason I didn’t give it 4 stars— the cabin needs either a bigger AC unit or install another unit for the upstairs! The avg temp was only 82 degrees when we were there and it ran non stop and still couldn’t keep the cabin cool. The downstairs was comfortable but the upstairs was horrible! We had to shut off some downstairs vents and keep all vents open upstairs just to make it somewhat comfortable. Other than that issue, everything else was perfect! Very clean! 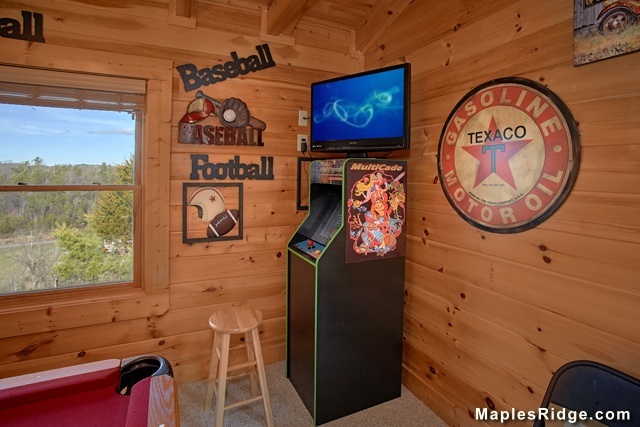 This cabin was in a great location and was very clean! A Great Vacation We had a wonderful time. This is the cleanest cabin we have ever stayed in. I've never slept on a bed in a rental that felt better than mine at home. 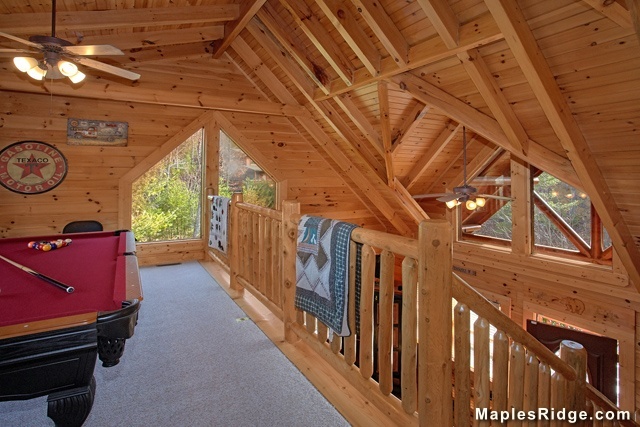 This cabin has everything you need. To sum it up--AMAZING! Great Place My family had a great time. 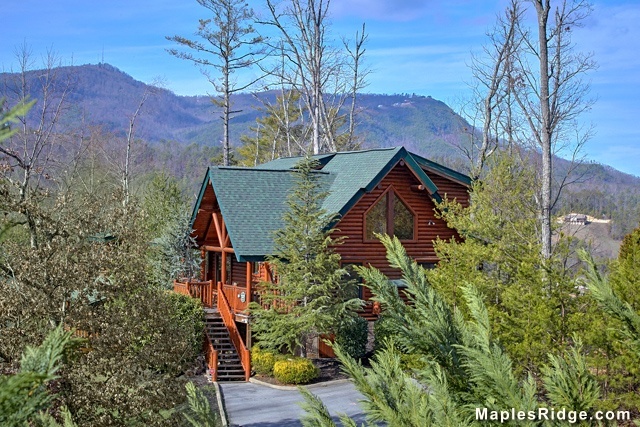 Pigeon Forge is only 5 minutes away. Very relaxing and beautiful. Highly recommend staying at this cabin. We will be back! Beautiful views from deck. 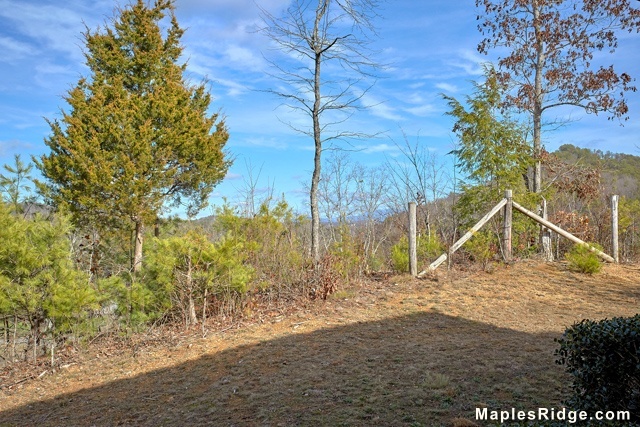 Could not ask for better location in proximity to attractions, 5 minutes to everything. Game room was used daily and the beds were wonderful.Will certainly stay again. 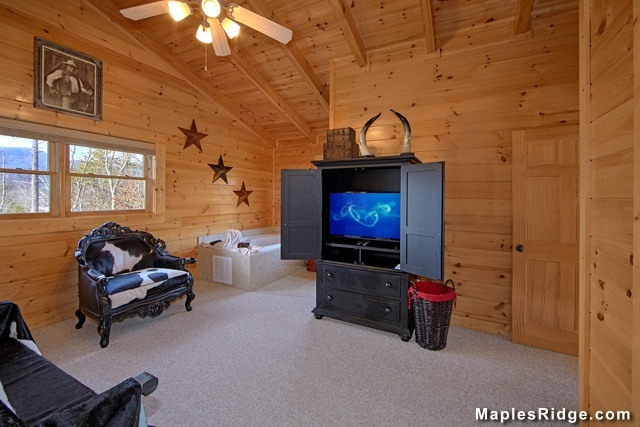 Beautifully decorated cabin!! Top of the line everything. 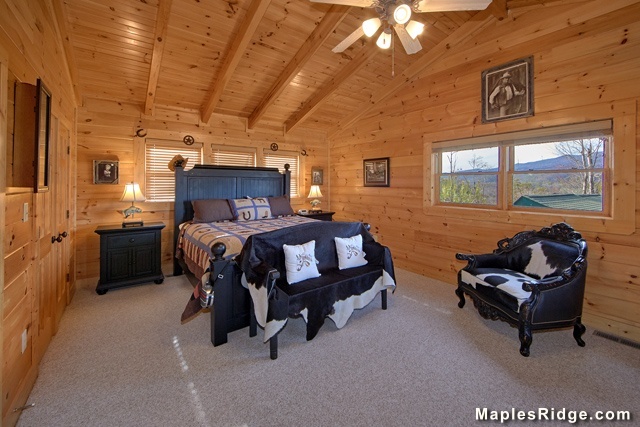 Perfect for couples but we had lots of room with our family of 7 in for a cozy 4 nights. Kids said bunks were very comfortable. Property owners are great and very easy to get a hold of as they live nearby. 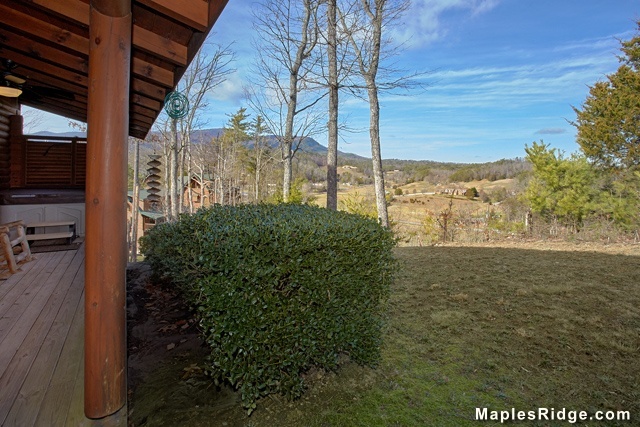 Beautiful location and perfectly situated between Pigeon Forge and Wears Valley. We really loved the fact that this cabin is located on the back of the resort and is not side by side with the cabins next to it. I dont want to reach out and touch my neighbor. It was very clean and well taken care of. We loved the view of the valley and we will come stay aging next year. 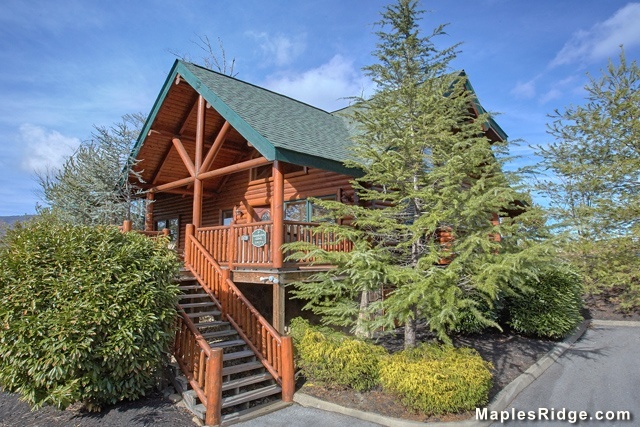 This cabin is by far the best there is here in Pigeon Forge. Perfect for my family and I! 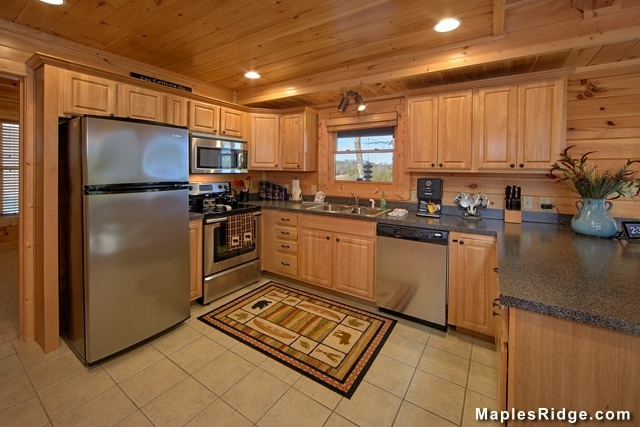 There is a nice large living and kitchen area big enough for everyone. 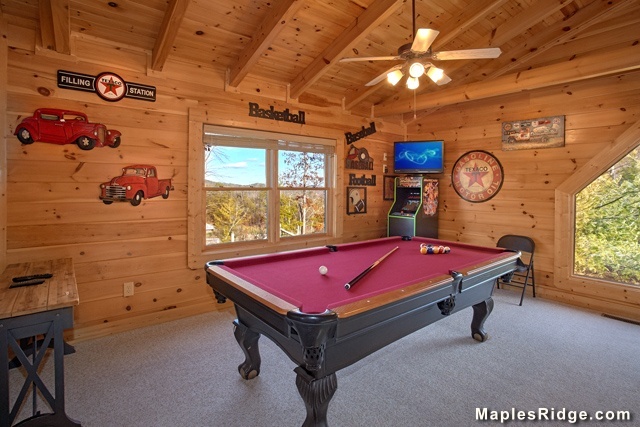 There's a pool table and arcade game upstairs for the kids and even us adults to enjoy! 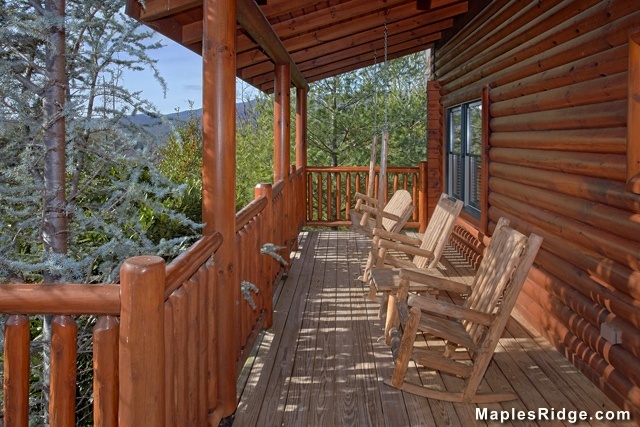 We loved sitting on the back deck which overlooks the mountains! 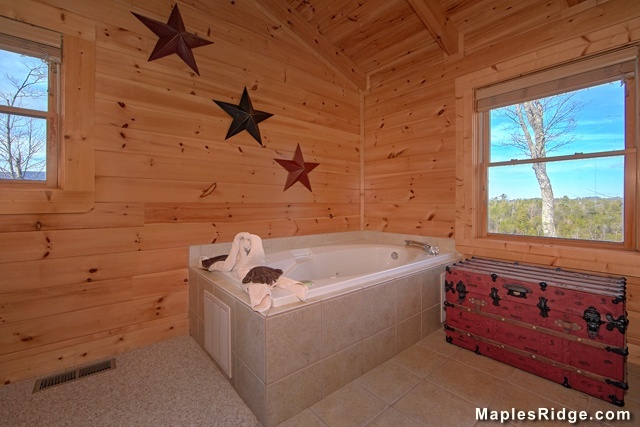 This cabin is perfect for everyone that doesn't want to be right in town but not toon far out. It's close enough to all the fun things to do, but far enough out to get the feel of the mountains. I definitely recommend this cabin to everyone!